App Store Says "Verification Required" On iPhone? Here's Why & The Fix! You are at:Home»iPhone»Apple ID»App Store Says “Verification Required” On iPhone? Here’s Why & The Fix! Your iPhone says “Verification Required” when you’re in the App Store and you’re not sure why. There is so much misinformation about this problem, so I decided to write this thorough article to help you diagnose and fix the real reason why the App Store says “Verification Required” on your iPhone. Do You Have Any Unpaid Subscriptions? If there are any unpaid subscriptions on your iPhone, you may see the “Verification Required” message in the App Store. 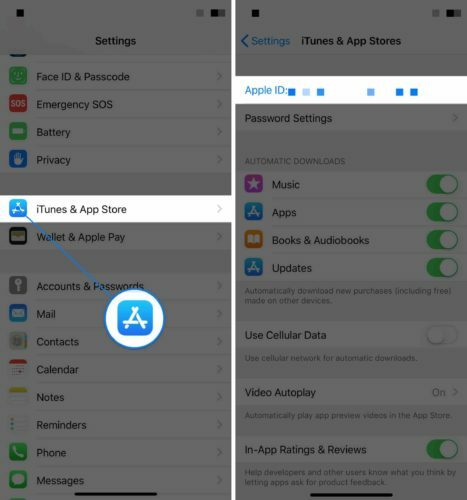 To make sure all of your iPhone subscriptions are paid, go to Settings -> iTunes & Apple Store and tap on your Apple ID at the top of the screen. When you tap on your Apple ID, a pop-up will appear on the center of the screen. 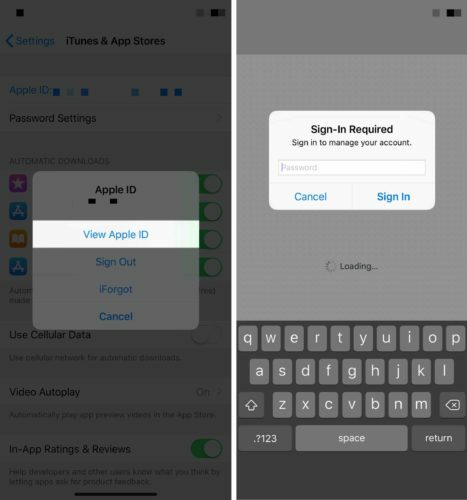 Tap View Apple ID and enter your Apple ID password. Then, scroll down and tap on Subscriptions. If any of your subscriptions are unpaid, your iPhone will say “Verification Required” when you try to download a new app. To prevent problems like this from happening in the future, make sure the subscription automatically renews. 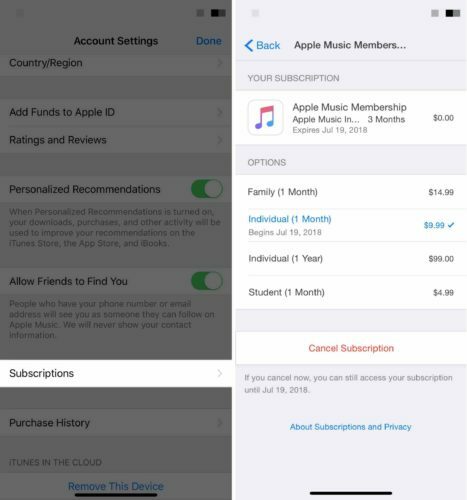 A lot of subscriptions do automatically renew, like your Apple Music, Apple News, and streaming service subscriptions. I Can’t Renew The Subscription! Here’s another common problem people run into — people have an unpaid subscription, but they can’t pay it because their payment method is either expired or unverified. Tap <Back in the upper left-hand corner of the Subscriptions menu, scroll up the menu, and tap Payment Information. Enter your Apple ID password again to log into the iTunes store. Make sure your debit card, credit card, or PayPal information is up to date. Sometimes, credit cards simply won’t verify. Instead, you can sign up for a PayPal account and link it to your credit card. Even if you don’t have any unpaid subscriptions, it’s still possible that you’re seeing the App Store “Verification Required” pop-up because your payment information is wrong or outdated. Follow the steps above and make sure the information is correct! Can I Just Select “None”? If you have no unpaid subscriptions, and if your device isn’t part of Family Sharing, you can select None. This will usually fix the “Verification Required” problem. What If I’m Part Of Family Sharing? If your iPhone is set up with Family Sharing, you won’t be able to select None in Settings -> iTunes & Apple Store -> Apple ID -> View Apple ID -> Payment Options. Update and verify the Family Sharing payment method. Before we begin, let me say this: I advise that you don’t leave Family Sharing if it’s already set up on your iPhone. You could lose access to shared iCloud storage and subscriptions like Apple Music. It’s also important to note that if you’re 13 or younger, you won’t be able to leave Family Sharing. If you want to leave Family Sharing and your iPhone is running iOS 10.2.1 or newer, begin by going to Settings and tapping on your name at the top of the screen. Then, tap Family Sharing -> Your Name -> Leave Family. If you have an iPhone running iOS 10.2 or older, tap Settings -> iCloud -> Family before tap Family Sharing -> Your Name -> Leave Family. If you don’t want to leave Family Sharing, the Payment Method associated with your Family Sharing network has to be updated, verified, or both. It’s possible that only one member of your family has access to this payment information and the ability to update it. Reach out to your family members in your Family Sharing network and ask if they can update and verify the payment information. Share this article with them so they can learn how to update the payment information! They may even be dealing with the same “Verification Required” on their iPhone. If the App Store still says “Verification Required” on your iPhone, you may have to contact Apple Support. You may be dealing with a highly complex Apple ID issue that can only be resolved by an Apple employee. Visit Apple’s support website to get in contact with an Apple employee who can help you fix the problem! 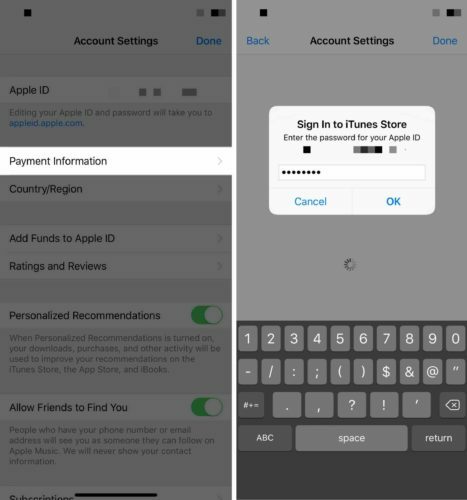 The App Store has been verified on your iPhone and you can resume making purchases. 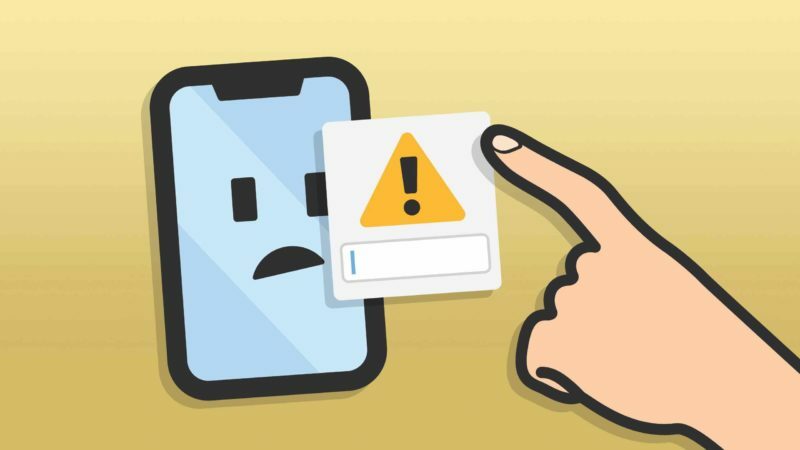 Make sure to share this article on social media so your family and friends know what to do when the App Store says “Verification Required” on their iPhone! If you have any other questions, leave a comment below. Next Article SiteGround Promo for 70% Off in 2019 | No SiteGround Promo Code Or Coupon Code Required!